Supplies used: DCWV papers, Prima rhinestone flourish, Queen & Co. 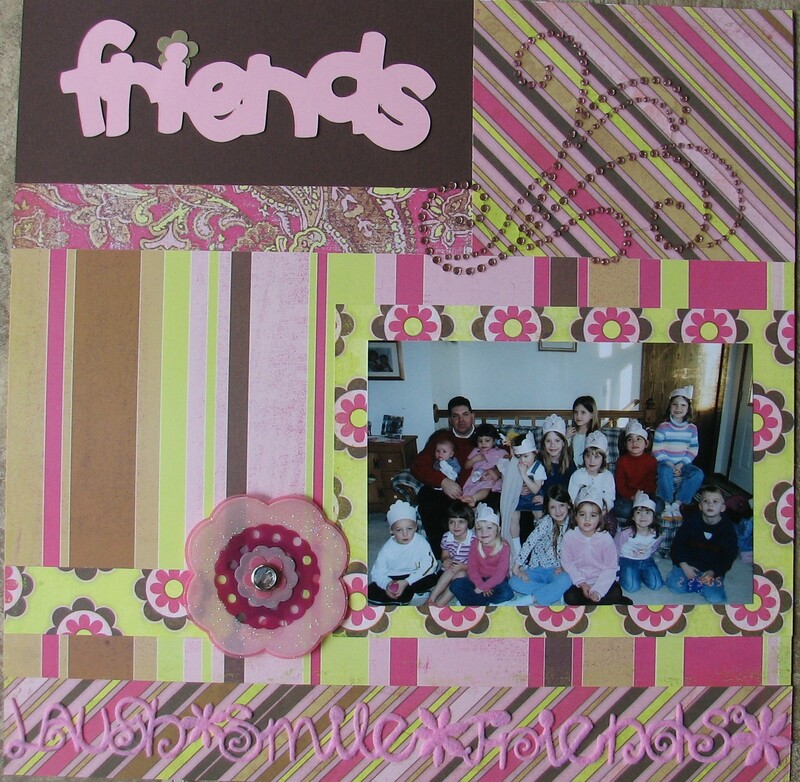 Felt Fusion border, Walk in My Garden Cricut cartridge, and Making Memories Glitter Clears. I love, love, LOVE your layout!! I need to make more use of my Cricut more often, this is beautiful. Very nice layout!! Great colours!